U.S. Air Force policy has historically been extremely strict with its entry criteria. This is the agency that refused entry to those who suffered from eczema, Attention Deficit Hyperactivity Disorder *(ADHD) and prior marijuana use. Now, a number of those rules are being relaxed – including the one regarding previous use of cannabis. This coincides with the fact that a growing number of states allow marijuana as medicine and for adult recreation. Of course, the Air Force will continue to maintain a zero tolerance policy with regard to service members using or smoking cannabis. However, the number of days/ weeks/ months since the marijuana use prior to service is no longer going to be a limiting factor. Additionally, the service is no longer going to ask potential recruits how long it has been since their last time using marijuana in the standardized questioning forms. Before, the Air Force was somewhat inconsistent with what timeline was acceptable for marijuana use prior to enlistment. 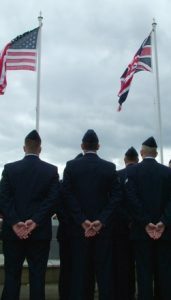 For example, the Air Force Recruiting Service had different guidelines than the Air Force Academy, and these were both different from the rules followed by officer training school and the AFROTC. Have you ever been charged with or convicted of a drug-related offense? Have you ever been psychologically or physically dependent on any drug and/ or alcohol? Have you ever trafficked, sold or traded drugs unlawfully for profit? Anyone who answers yes to either of the last two questions can probably anticipate they will be deemed ineligible for service. If one answers yes to either of the first two questions, it’s likely the potential recruit will need to go through an additional drug screening and questionnaire, which will examine the full extent of prior drug usage. The military then goes from there to make a determination about whether the prior drug use should limit one’s ability to joint that particular branch of the military. Historically in the Air Force, someone who concedes to smoking marijuana fewer than 15 times won’t need a waiver. If someone admits to smoking more than 15 times but less than 25 times will need to undergo a drug eligibility determination, which is essentially a process whereby a trained drug and alcohol specialist will inquire as to the exact circumstances of one’s drug use. Typically, someone who uses more than 25 times in their life is considered disqualified, and will require a waiver to successfully enlist. But according to military.com, different recruiters were asking different questions. Some would ask whether a person smoked less than five times, while others would ask if it was less than 15. But now, according to Lt. Gen. Gina Grosso, deputy chief of staff for Air Force manpower and personnel, recruiters will stop inquiring about previous marijuana use. She said the question is ineffective anyway because few people actually count the number of times they used marijuana. There will continue to be no waivers for a positive drug screen, previously diagnosed substance abuse disorder or conviction for violation of a state marijuana law. She also said that any condition that would require medical cannabis would likely be something that is disqualifying anyway.